On the 27th (Tue), choose your vessel at eBoats Tampa. To see photos, where to stay, more things to do, and more tourist information, read our Tampa tour planner . Use the Route module to find travel options from your starting location to Tampa. In November, plan for daily highs up to 80°F, and evening lows to 62°F. On the 27th (Tue), wrap the sightseeing up by early afternoon so you can drive to Orlando. Pack the 28th (Wed) with family-friendly diversions at Walt Disney World Resort. Have a day of magic on the 29th (Thu) at Magic Kingdom Park. It doesn't end there: find something for the whole family at Universal's Islands of Adventure. To find maps, where to stay, more things to do, and more tourist information, use the Orlando trip planner . Traveling by car from Tampa to Orlando takes 1.5 hours. Alternatively, you can take a bus; or take a train. In November, daily temperatures in Orlando can reach 78°F, while at night they dip to 62°F. Finish up your sightseeing early on the 30th (Fri) so you can travel to New York City. New York City is known for museums, nightlife, shopping, historic sites, and parks. Your plan includes some of its best attractions: go for a walk through Central Park, appreciate the history behind Statue of Liberty National Monument, admire the landmark architecture of Chrysler Building, and enjoy breathtaking views from Top of the Rock. For other places to visit, photos, maps, and other tourist information, go to the New York City trip itinerary planning tool . Getting from Orlando to New York City by combination of flight and bus takes about 6 hours. Other options: fly; or drive. Expect colder temperatures when traveling from Orlando in December; daily highs in New York City reach 48°F and lows reach 36°F. Finish your sightseeing early on the 4th (Tue) so you can drive to Cape May. 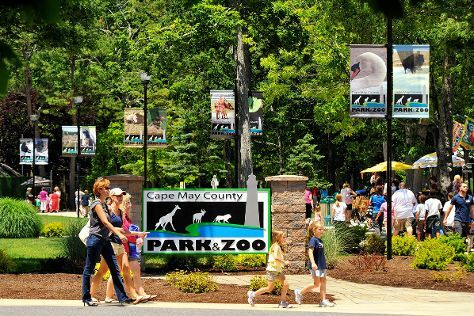 Kick off your visit on the 5th (Wed): meet the residents at Cape May County Park & Zoo and then identify plant and animal life at Cape May Bird Observatory. To find photos, more things to do, and more tourist information, read Cape May trip planner . You can drive from New York City to Cape May in 3 hours. Other options are to take a bus; or do a combination of train and bus. In December in Cape May, expect temperatures between 49°F during the day and 35°F at night. Finish your sightseeing early on the 5th (Wed) so you can drive to Washington DC. Washington DC is known for museums, historic sites, nightlife, zoos & aquariums, and fun & games. 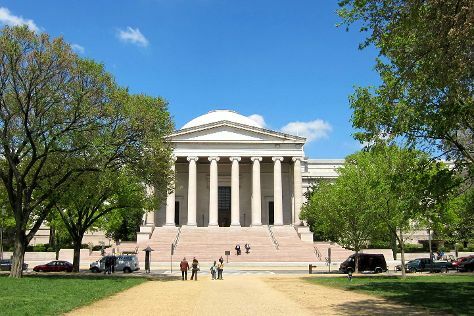 Your plan includes some of its best attractions: admire the masterpieces at National Gallery of Art, get a sense of history and politics at White House, pause for some photo ops at Vietnam Veterans Memorial, and meet the residents at National Zoological Park. For other places to visit, photos, reviews, and more tourist information, read our Washington DC travel itinerary planner. Getting from Cape May to Washington DC by car takes about 4 hours. Other options: do a combination of bus and train; or take a bus. In December, daily temperatures in Washington DC can reach 51°F, while at night they dip to 37°F. Wrap up your sightseeing on the 8th (Sat) early enough to travel to Chicago. Change things up with a short trip to Bengtson's Pumpkin Farm in Homer Glen (about 42 minutes away). There's lots more to do: explore the world behind art at The Art Institute of Chicago, meet the residents at Lincoln Park Zoo, explore and take pictures at Wrigley Field, and appreciate the extensive heritage of Millennium Park. To find more things to do, ratings, where to stay, and other tourist information, use the Chicago trip planning app . Traveling by flight from Washington DC to Chicago takes 4 hours. Alternatively, you can do a combination of train and flight; or drive. Due to the time zone difference, you'll gain 1 hour traveling from Washington DC to Chicago. Plan for a bit cooler temperatures traveling from Washington DC in December, with highs in Chicago at 38°F and lows at 26°F. Cap off your sightseeing on the 11th (Tue) early enough to travel to Las Vegas. Step out of Las Vegas with an excursion to Hoover Dam in Boulder City--about 50 minutes away. Next up on the itinerary: admire the local landmark of Bellagio Fountains, enjoy breathtaking views from Eiffel Tower Experience at Paris Las Vegas, take a stroll through The Strip, and examine the collection at The Mob Museum. To find out how to plan a trip to Las Vegas, use our trip itinerary maker. Getting from Chicago to Las Vegas by flight takes about 6 hours. Other options: do a combination of bus and flight; or drive. The time zone difference when traveling from Chicago to Las Vegas is minus 2 hours. Expect somewhat warmer temperatures when traveling from Chicago in December; daily highs in Las Vegas reach 57°F and lows reach 39°F. Wrap up your sightseeing on the 14th (Fri) early enough to travel to San Francisco. San Francisco is known for nature, museums, parks, nightlife, and shopping. Your plan includes some of its best attractions: step off the mainland to explore Alcatraz Island, appreciate the extensive heritage of Filbert Steps, take in the waterfront at Fisherman's Wharf, and take in the views from Golden Gate Bridge. To find ratings, more things to do, maps, and other tourist information, use the San Francisco itinerary planner . You can fly from Las Vegas to San Francisco in 4 hours. Other options are to do a combination of flight and subway; or drive. Expect a bit warmer evenings in San Francisco when traveling from Las Vegas in December, with lows around 45°F. Cap off your sightseeing on the 17th (Mon) early enough to travel to Miami. On the 18th (Tue), take in nature's colorful creations at Fairchild Tropical Botanic Garden, experience rural life at Burr's Berry Farm, and then contemplate the waterfront views at Slough Slog. On the 19th (Wed), you'll have a packed day of sightseeing: appreciate the extensive heritage of Art Deco Tours and then cast your line with Florida Everglades Bass Fishing Charters. 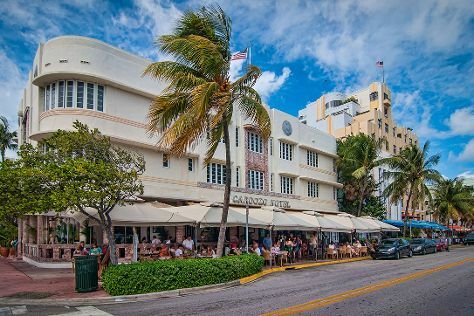 To see maps, ratings, traveler tips, and other tourist information, you can read our Miami driving holiday tool . Traveling by combination of flight and tram from San Francisco to Miami takes 7.5 hours. Alternatively, you can do a combination of flight and bus; or drive. Traveling from San Francisco to Miami, you'll lose 3 hours due to the time zone difference. Traveling from San Francisco in December, things will get much warmer in Miami: highs are around 81°F and lows about 68°F. Finish your sightseeing early on the 19th (Wed) so you can travel back home. Start off your visit on the 20th (Thu): take in breathtaking views at Grand Canyon South Rim, hike along South Kaibab Trail, and then get great views at Mather Point. Here are some ideas for day two: get great views at Lookout Studio and then stroll through Rim Trail. To find maps, ratings, and tourist information, use the Grand Canyon National Park trip itinerary maker . Traveling by combination of tram, flight, and bus from Miami to Grand Canyon National Park takes 12 hours. Alternatively, you can do a combination of train, flight, and bus; or drive. The time zone changes from Eastern Standard Time (EST) to Mountain Standard Time (MST), which is usually a -2 hour difference. Traveling from Miami in December, things will get cooler in Grand Canyon National Park: highs are around 45°F and lows about 15°F. Wrap up your sightseeing by early afternoon on the 22nd (Sat) to allow time for travel back home.